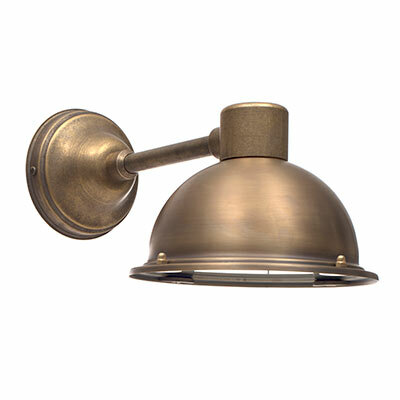 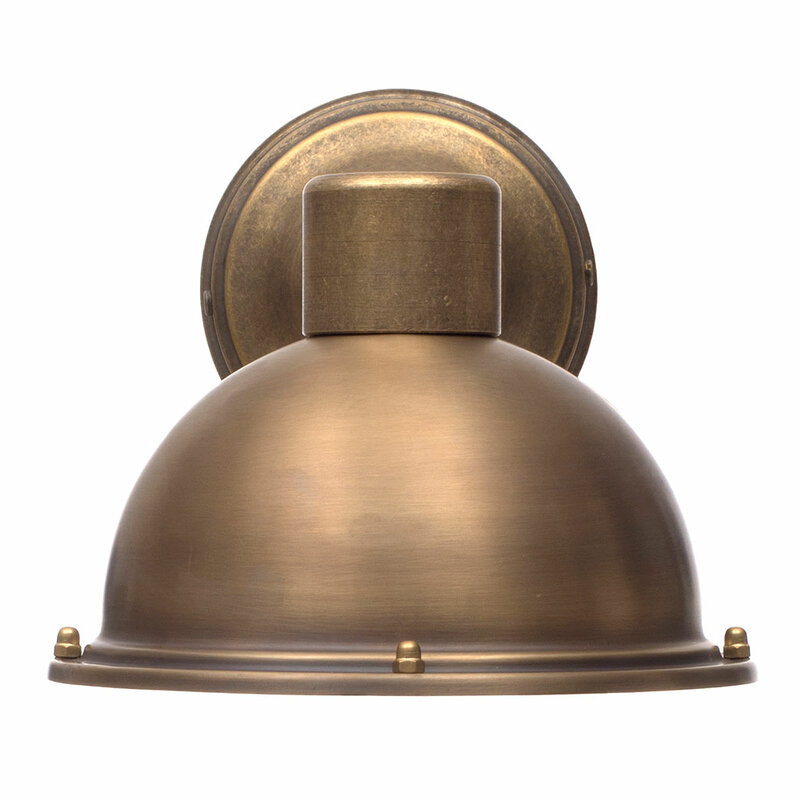 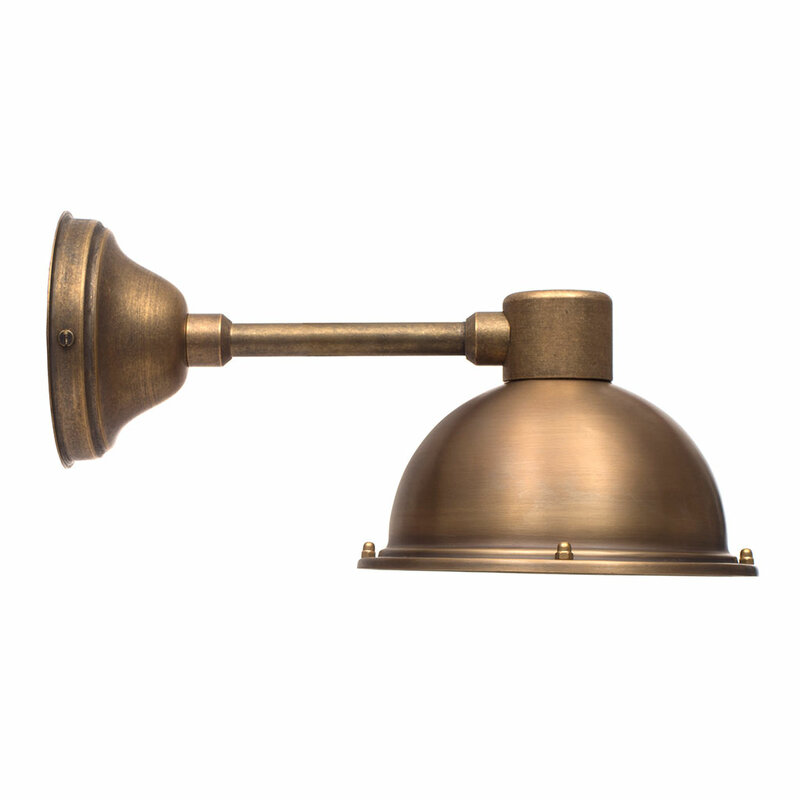 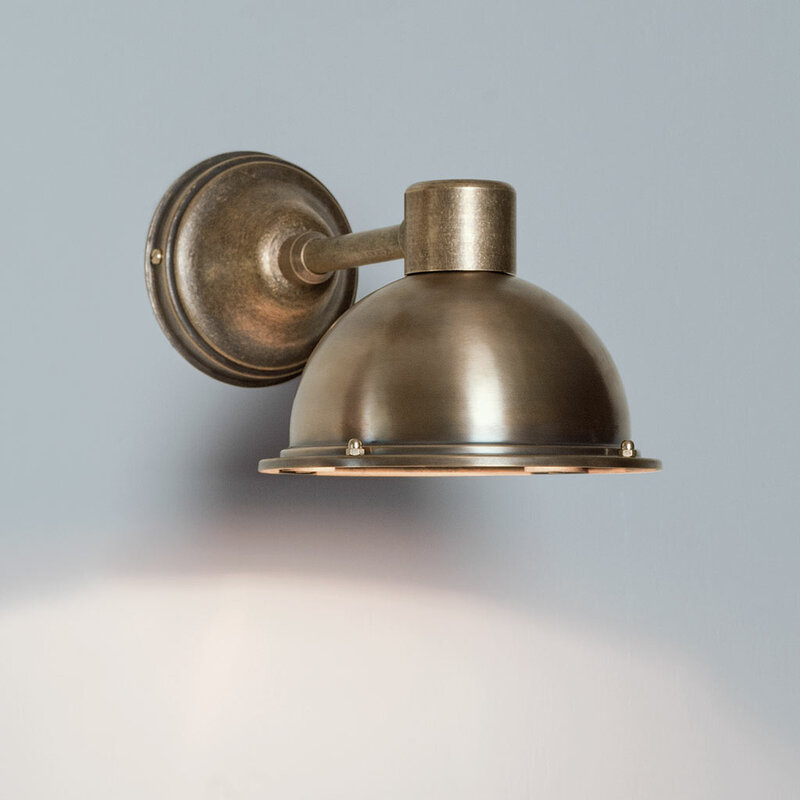 A stylish spot lamp, great for task lighting with its antiqued brass finish. 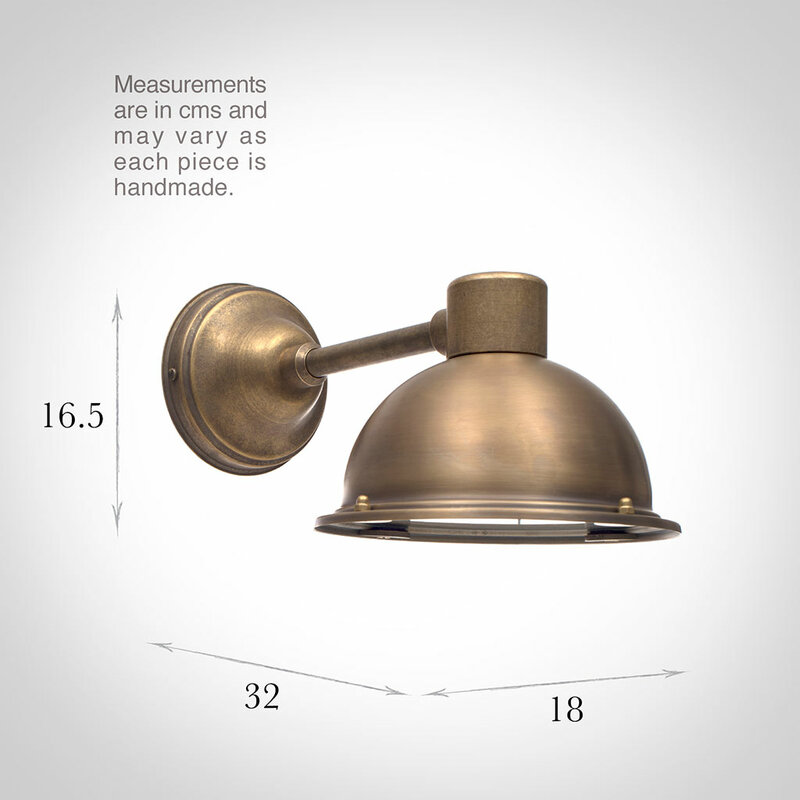 The bowl shade rotates 90 degrees to each side, ie a total of 180 degrees left to right. The underside of the shade is glass, to complete the look. 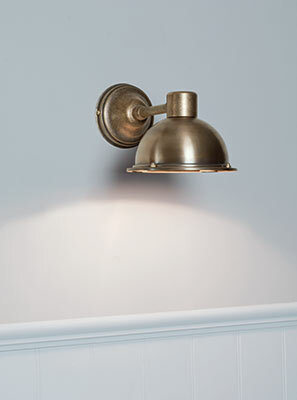 The Derby Spot Lamp is a substantial spotlight and would suit a large room.